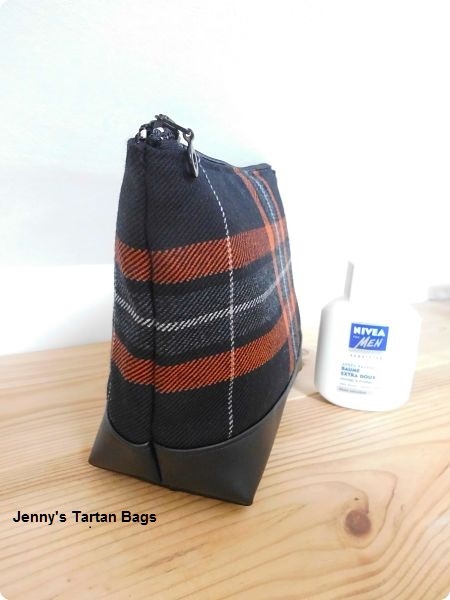 Wash bag in the genuine Harley-Davidson tartan with ample room for everything. 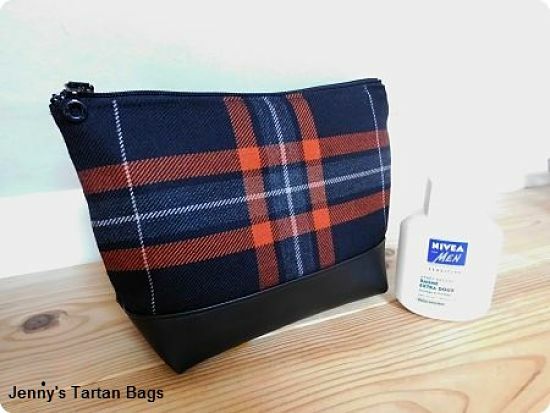 The lining is made from a solid black water resistant fabric. The base is made from pleather. 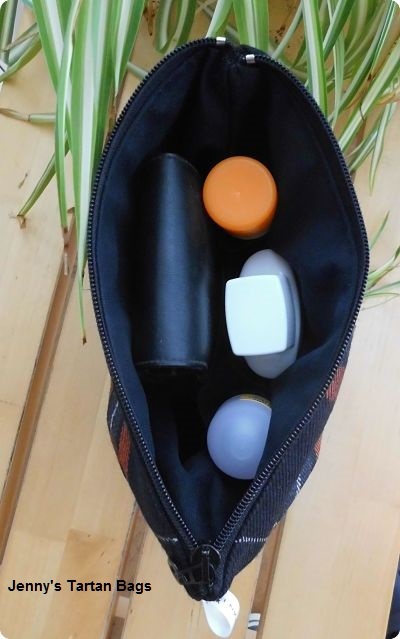 There are three pockets inside. Hight : 16cm and base width 8 cm. Outer fabric: 100% wool and pleather. Price: 35€ plus shipping costs. 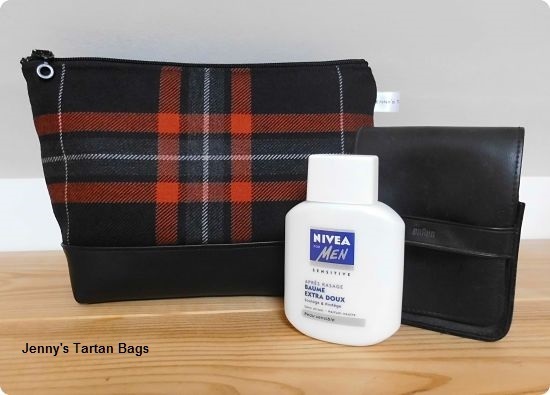 Trousse de toilette dans le tartan officiel de la marque de motos Harley-Davidson. déperlant. Il y a trois poches plaquées.